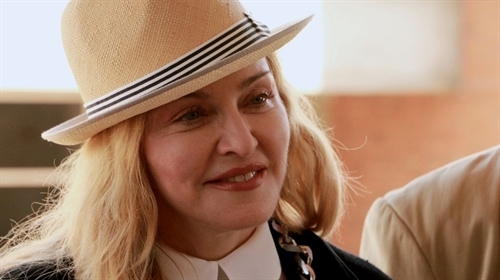 HAVANA — Pop singer Madonna celebrated her 58th birthday Tuesday strolling and dancing in Cuba, the latest US star to visit the island since it restored ties with Washington last year. In a white shawl, black sunglasses and Panama hat, the singer wandered through the streets of Havana with her bodyguards. Locals took pictures of her with their phones and one group sang "happy birthday," an AFP photographer saw. "She is in Cuba to celebrate her 58th birthday in Havana along with her children, relatives and close friends," state news website Cubadebate said. Madonna posted a photograph on Twitter of herself in a black dress with a design of yellow flowers and the Spanish message "Cuba libre" or "Free Cuba". A video posted on Instagram showed her in the same dress dancing on a table to Cuban music in a restaurant in Havana’s old city. "It was great. I think she had one of her best birthdays ever," said one local man, Jasel Rey, 26, who said he was present at that celebration on Monday evening. "The best was that she started dancing on a table." Cuban state newspaper Granma said Madonna was accompanied by her daughter Lourdes Leon, 19, whose father Carlos Leon is a US-based Cuban dancer and trainer. After decades of hostility, Cuba formally restored diplomatic relations with the United States last July and eased travel restrictions.